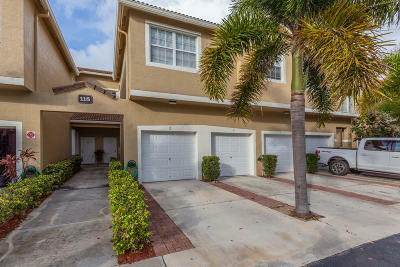 Tequesta Trace condos and townhomes are located on the north side of Tequesta Drive and just east of Old Dixie Highway in a cozy little enclave of homes surrounding the community pool and tot lot. There's ample guest parking around the pool area and a choice of townhome style homes or condos. Every home has a garage and patio area.